According to data gathered, Instagram is officially bigger than Twitter with over 600 million users. A picture is worth thousand words, and there are certain things which can’t be completely defined through words. The beauty of these things can only be expressed through visual content, and the essence of it can’t be felt with words. There are many brands who are taking advantage of Instagram, while others are still wandering around the old school advertising methods. You can use Instagram productively to get traffic and grow your business. 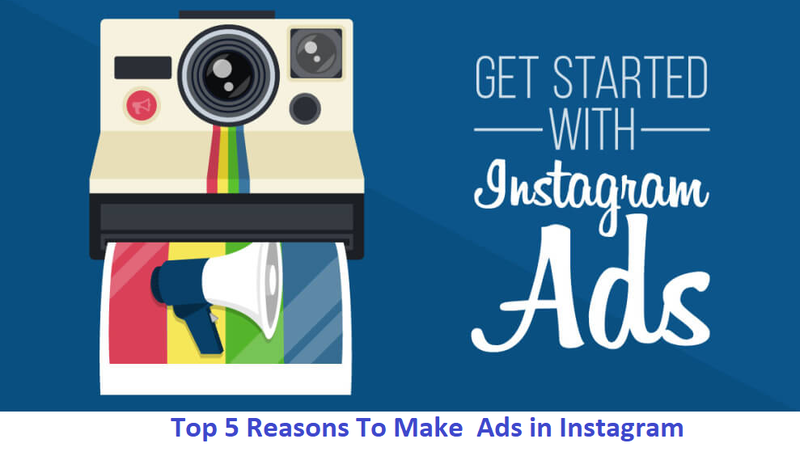 If you are still wondering whether to use Instagram, then following these five reasons may help you consider Instagram advertising for your brand. Instagram allows its users to enhance the visual content uploaded by them via filters. These filters help brands coincide their images with their brand. Visual content is the best way to engage with your fans and followers. Due to this, Instagram has become a great platform to engage with your fans. You can start conversations with hashtags and ask your followers to join, or you can join your fans talking about your brand. The main reason behind any brand joining social media is to drive targeted traffic and create customers. Instagram has over 600 million users, and has become the premier choice for marketers to showcase their products and brands. Placing a link to your site in your bio is a great start to drive traffic. Expand your reach by having other Instagram accounts host your URL link in their bio, as well. Don’t forget to add relevant hashtags and CTAs with uploaded visuals. People get more attracted to visual content compared to text. Instagram took advantage of this and allows its users to make use of it to earn higher benefits. Visual marketing is becoming the latest trend among digital marketers. Instagram allows its users to share and create photos and videos that can effectively promote their brand. Instagram opens gateways for many brands to advertise and showcase their products on Instagram more creatively and efficiently. It provides marketers with different types of advertising formats. It opens windows of new advertising opportunities that range from direct-response ads to branding ads. Ads on Instagram doesn’t look like ads, rather they become part of the user feed which makes it look like the other organic posts and won’t get scrolled past by users. Audiences respond better to posts that appear natural, as opposed to the usual product promotional messages. Moreover Instagram establishes you as an influencer, not just a brand. Instagram’s community is connected with urban, as well as progressing areas which make it a suitable platform to increase brand reach and communication with your followers. Instagram allows your brand to be searched more easily, and makes it easy to reach to your audience. You can even keep an eye on your competitors by following hashtags related to them.